* State of Art Microcontroller Nased Design. 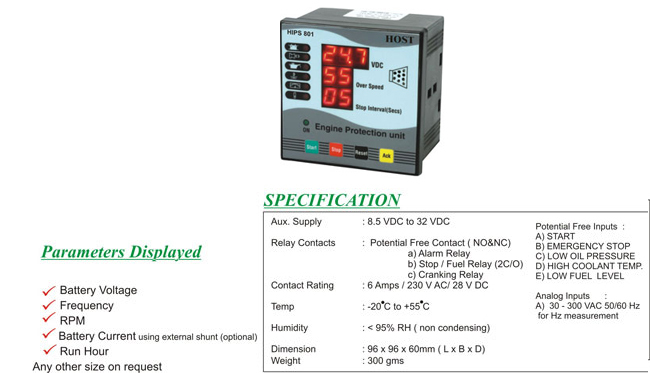 * Auto (using external under voltage relay) / Manula Start option. * Programmable Cranking Period / Number of Start attempts & Rest Period. * Low Lube Oil pressure, High water temperature, Over Speed Protection. * Provision for Remote emergrncy stop. * Battery Under volatge Indication. * Programmable Over speed Limit with delay to aviod nuisance tripping.